We’ve already got omnipotence and omniscience, but what do these imply? We start today, but do not finish, that these imply love and happiness and the complete absence of evil and hate. This argument sets things up. It is not, I repeat, the full proof. FROM the foregoing we may conclude that the passions of the appetite are not in God. For there is no passion in the intellective appetite, but only in the sensitive, as is proved in 7 Phys. Now no such appetite can be in God, since He has no knowledge through senses, as clearly results from what has been said. Therefore it follows that no passion of the appetite is in God. Notes The human intellective appetite is the power to move toward an object of desire (or away from something undesired). The sensitive appetite is based on sense, i.e. the five senses (and if we are to believe the latest food fads, now umame). God does not have senses as we do, and so doen’t use what He doesn’t have. Passions? The paper by King, “Aquinas on the Passions“, explains it better than I. “Passions are potencies…abilities correspond to active potencies, capacities to passive potencies…This intuitive sense is captured in the idea that the reduction of a potency to act requires a cause or explanation: those potencies whose actualization is due to an internal principle are active potencies; those potencies whose actualization is due to an external principle are passive potencies.” Later (p. 20), “The passions are passive potencies: objectual intentional states of the sensitive appetite elicited by an external principle…animals, who have no higher faculties, are clearly at the mercy of their passions.” Well, that paper is thirty-two pages long and is worth reading. Okay, so why is any of this important, since we already knew all that? Because it leads its way to something deeper, such as this. Some passions, however, are absent from God not only by reason of their genus, but also on account of their species. For every passion takes its species from its object. Wherefore a passion whose object is wholly unbefitting God is absent from God on account of its proper species. Such a passion is sorrow or pain: for its object is an actually inherent evil, just as the object of joy is a good present and possessed. Sorrow, therefore, and pain by their very nature cannot be in God. Again. The formality of a passion’s object is taken not only from good or evil, but also from the fact that a person is referred in some mode to the one or the other: for thus it is that hope and joy differ. Wherefore if the mode in which a person is referred to the object–that mode being essential to the passion — is not becoming to God, neither can the passion itself be becoming to God, and this by reason of its proper species. Now although hope has a good for its object, this is a good not already acquired, but to be yet obtained. And this cannot be competent to God, on account of His perfection, which is so great that nothing can be added to it. Hope therefore cannot be in God, even by reason of its species: nor again desire of anything not possessed. Moreover. Just as the divine perfection excludes from God the potentiality of acquiring any additional good, so too and much more it excludes the potentiality to evil. Now fear regards evil that may be imminent, even as hope regards a good to be acquired. Wherefore fear by reason of its species is absent from God on two counts: both because it is befitting only one that is in potentiality, and because its object is an evil that can become present. Again. Repentance denotes a change in the appetite. Wherefore the idea of repentance is inapplicable to God, both because it is a kind of sorrow, and because it implies a change of will. Further. Without error in the cognitive power, it is impossible for that which is good to be apprehended as evil. Nor does it happen that the evil of one can be the good of another, save in particular goods, wherein the corruption of one is the generation of another: while the universal good is nowise impaired by any particular good, but is reflected by each one. Now God is the universal good, and by partaking of His likeness all things are said to be good. Hence no one’s evil can be to Him a good. Nor is it possible for Him to apprehend as evil that which is good simply, and is not evil to Him: because His knowledge is without error, as we have proved above. Hence envy cannot possibly be in God, even according to the nature of its species; not only because envy is a kind of sorrow, but because it grieves for the good of another, and thus looks upon another’s good as its own evil. Again. To grieve for a good is like desiring an evil: for the former results from a good being deemed an evil, while the latter results from an evil being deemed a good. Now anger is the desire of another’s evil in revenge. Therefore anger is far removed from God according to its specific nature; not only because it is an effect of sorrow, but also because it is a desire for revenge on account of sorrow arising from a harm inflicted. Notes Don’t let this slide by “corruption of one is the generation of another”, i.e. evil is the corruption of the good. God cannot change, so that He cannot be corrupted, but we, as history and our own behavior shows us, can. One more time I emphasize, that this is not a complete proof there is no evil in God. We’ll unfold this over the next several weeks. How is death by drowning of the complete world population, save eight, not evil? 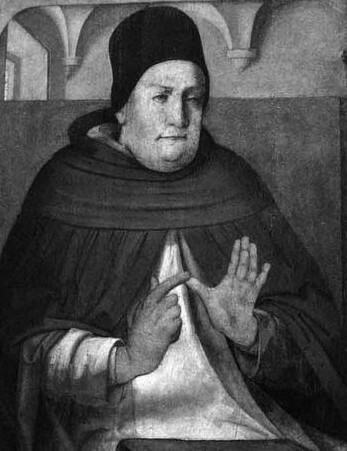 Is the God of Aquinas not the biblical God? You are getting close to the theodicy. Didn’t God acquire the sensitive appetite when the Word became flesh? How is it kept separate from the divine intellect so that it doesn’t corrupt? If the sensitive appetite was not acquired, then how can it be claimed that Jesus was fully man?